Wilson Combat’s ammunition is top-shelf in every sense of the phrase (except the one that involves a certain type of magazine). OAL is always dead on from round to round, consistency has always been ridiculously good out of every gun I own, and accuracy is as good as a given bullet/barrel combo will allow it to be. But you don’t just waste top-shelf things. And so Wilson ammunition has frequently been a match round for me but rarely just a plinking or practice round. The performance I get out of any Wilson Combat ammunition I have ever used has saved me from having to reload at a time when I just don’t have time or space for it, but the cost used to be too high relative to standard FMJ to allow me to shoot as much of it as I otherwise might. All of that changed last year when Wilson introduced its new Remanufactured line. All of these rounds come bulk packaged in boxes of 400. After shooting more than 1600 rounds of various remanufactured 9mm loads (the 115, 124, and 147 grain options but not the 135 grain) and more than 800 rounds of the 200 grain .45, I can’t recommend it enough. The 9mm is very competitively priced, especially when Wilson runs sales on it. 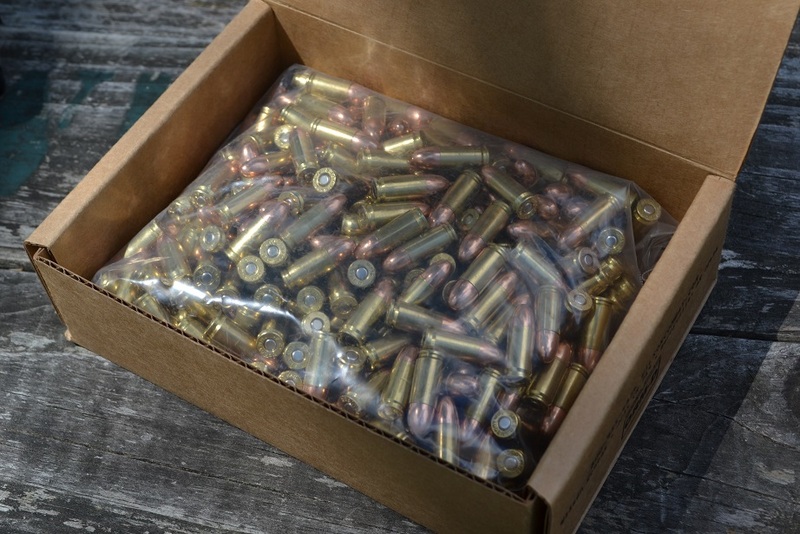 Retail on a 400 round box comes to about $17.50/50 rounds without a sale and roughly $14 when sales happen. But the remanufactured .45 is the real star from a value standpoint, with retail coming in at $18.75/50 rounds without a sale and roughly $15 with. Most factory .45 FMJ costs more than that anyway, and it isn’t loaded with a HAP bullet or a match-propriate amount of powder. 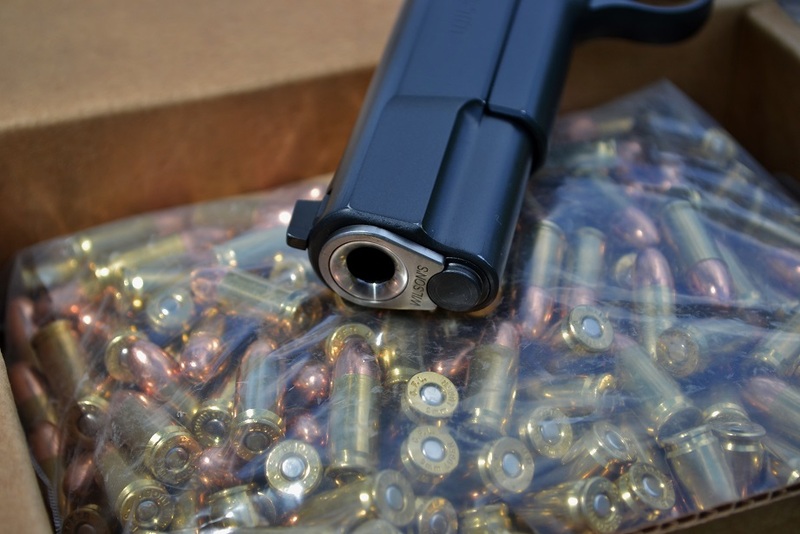 If you don’t mind shooting lead semi-wad cutter rounds, the price starts at about $15/50 rounds and moves down to about $12/50 rounds during sales for a 400 round bulk pack. For solid .45 ammo, that is about as good as it gets. One thing I have noticed about a lot of other “remanufactured” ammo is that regardless of what is advertised, half of the rounds loaded in what is supposedly “once-fired” brass look like the brass has been loaded 12 times and then run through a wood chipper. While that isn’t true of every manufacturer, that kind of brass can have an impact on reliability. The brass that Wilson is using is worlds better than I expected from a remanufactured round, and I have yet to see a problem involving brass from this line, which speaks directly to Wilson’s QC. OAL and velocity have both been consistent, with OAL tolerances generally around +/- .0085 inch from the shortest to the longest round I measure in a random sample of rounds. Velocity-wise, as the table below demonstrates, consistency was outstanding for an economy match round. Extreme spreads were 24 and 32 fps for the 147 and 115 grain options, respectively. Results for 124 grain 9mm and 200 grain .45 were comparable as far as consistency goes. Although through my H&K VP9 the velocities were a fair amount above advertised spec (both coming in at high 130k power factors), they were closer to advertised in my 5″ 1911, so as with any round, you will likely see slightly different results depending on your particular firearm’s chamber dimensions, etc. Any of the options I have tried are more than accurate enough for any practical or match purposes. The Hornady 147 grain RN bullet wasn’t as accurate as the 115 grain HAP bullet in my experience, but even with the 147 grain, I had no problem hitting 6″ steel targets or “down zero” zones on IDPA or USPSA silhouette targets in matches. And a good friend of mine won 1st Place in a Tactical Police Competition with the 115 grain HAP load, so that round would probably be the way to go for strictly accuracy-based purposes. I ended up seeing better accuracy from the 115 and the 124 grain options in 9mm (roughly a couple of inches from 15-20 yards off hand compared to 1-2 inches more for the 147), so I stuck with the 124 for my purposes because of the heavier projectile’s recoil involving less muzzle flip than the 115. That being said, I think any of Wilson’s remanufactured loads will perform well for the price and they represent a great value for non-reloaders—particularly in .45. As far as the .45 goes, the load I spent a good amount of time with was the 200 grain HAP load, which is my favorite non-remanufactured .45 load that Wilson offers too. Wilson loads the 200 grain HAP bullet in an 850 fps configuration for shooters who need to make “Major” power factor in matches, as well as in a 770 fps configuration for those who want even less recoil in their practice round or are not concerned with power factor. In my experience, there isn’t another bullet out there that is both a more reliable feeder and more accurate than the Hornady HAP projectile through a wide variety of firearms. For the money, this is my favorite option for factory-loaded .45. And until I find something better, it will be my preferred training/match round in the caliber. -Colt Driver; for more information, check out Wilson Combat online! *Thanks to Wilson Combat for providing us with a review sample of the 115 and 147 grain 9mm loads. Any other loads tested or reviewed in this article were purchased by the author. On multiple occasions.